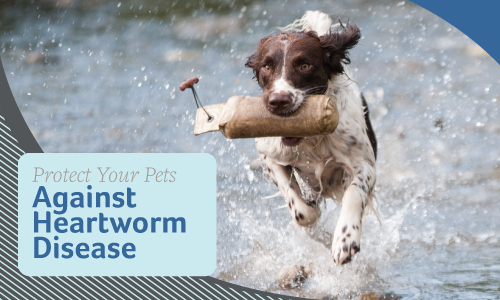 April is Heartworm Awareness Month, and according to the American Heartworm Society, the incidence of heartworm across the country is up. Illinois and the greater Chicago area are no exceptions as this region does have a consistently moderate risk of heartworm. As always, the best treatment is prevention! Monthly oral or topical heartworm preventative medication given year-round is your pet’s best defense. We have many different types available at Glendale Animal Hospital, and our staff can help you decide which one is best for your animal companion. Make sure the pet you love is protected! Schedule an appointment today.